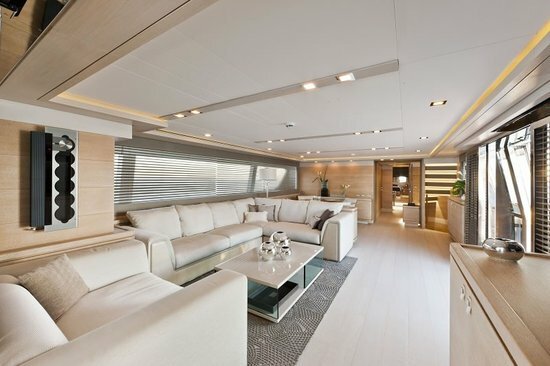 Azimut Yachts pulled the veil off its flagship vessel, the Azimut Grande 120SL at the 2011 Cannes Boat Show, giving the world of luxury yet another splendid way to sail in style. 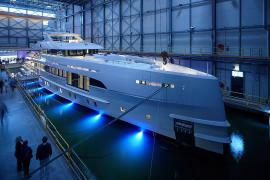 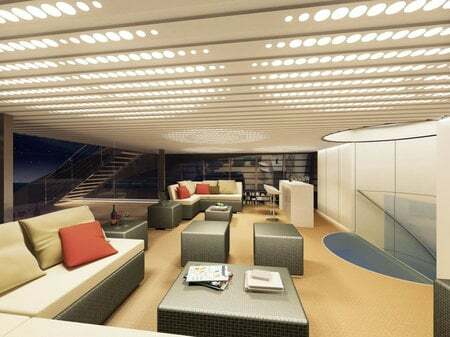 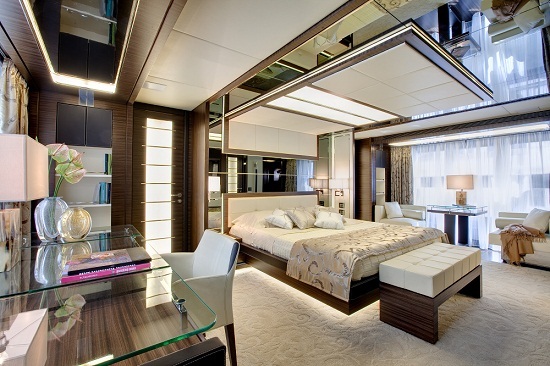 Part of Azimut Benetti Group’s mega yachts business line, the yacht’s interiors were designed by Rome-based Carlo Galeazzi while the exteriors were drawn out by Stefano Righini Design. 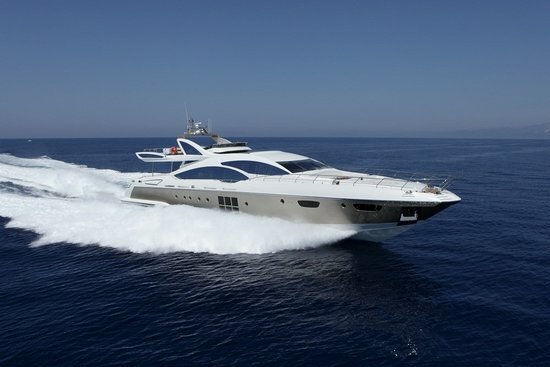 A perfect blend of performance and luxury without compromising on either, this 36 meter yacht uses two Rolls-Royce water jets with a central booster for a top speed of 36 knots. 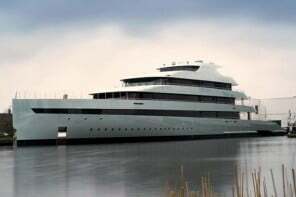 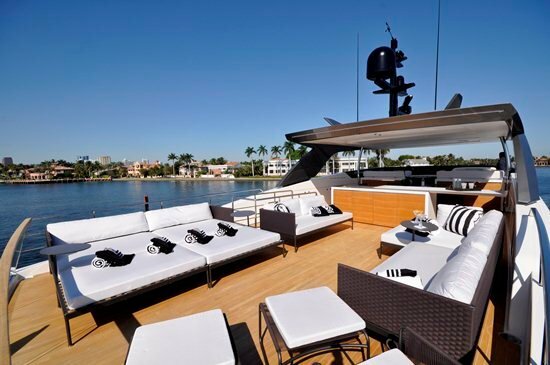 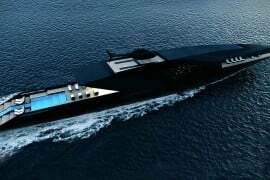 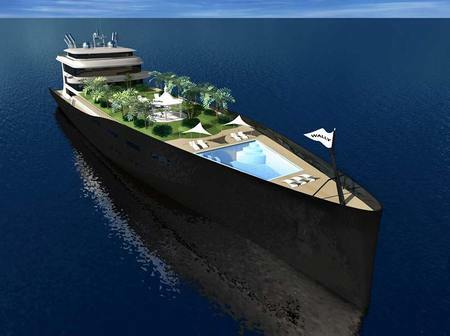 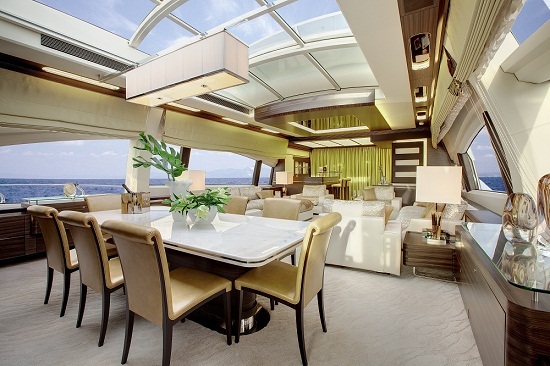 Complete with dark Zebrano wood, cream colored leather and lots of steel and glass to soothe the eye, the yacht has space for sunbathing, lounging and al fresco dining and sports all the luxurious amenities you’d look for in a super-luxury superyacht. 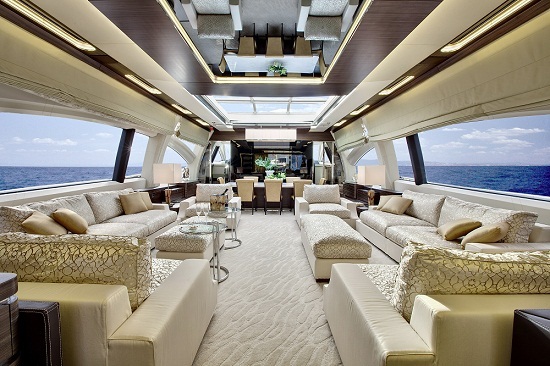 With elegant bar, lounging and dining spaces, this beauty on waves is the perfect way to hit the blues in style, extravagance and magnificence.